Thanks for taking out time from your busy life and showing interest in reading this blog. This blog is an attempt from our side to present you the aspects related to an android app developer or the community of android application developers. Their main job is to build an android application also known as an android app in short. In this blog, you will get to know the various aspects and parameters that come into play when you go out to hire android app developer for building an app for your hit idea. If you have a hit android app idea, hire android developer team immediately that can help you to kick start your business and manifold your sales and revenue. We, at ChromeInfotech, can help you with that. Every single day many of us come up with new and exciting Android app ideas for our future business ventures or existing business ventures. 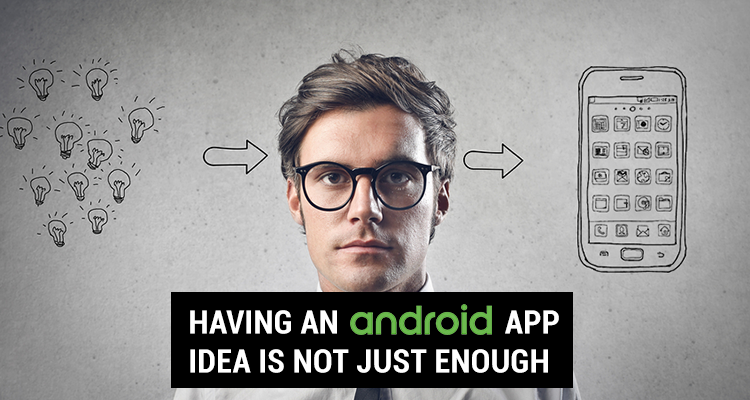 But not every idea seems feasible to be converted into an android app. A lot of factors play a significant role in that. After determining the feasibility of your app, the most critical aspects that need to be given attention is – the association with the right technology partner. Yes, in this case, it would be an individual android app developer or a team of multiple android application developers who will help you to bring your Android app idea to reality. Multiple android application developers are the next significant challenge that you would have to overcome. So without wasting further time, let’s straight away dive into the 23 DIFFERENT ASPECTS that you need to understand if you are looking to hire the best set of android developers to bring your business app idea to reality. HIT Android App Aspect 1 – Know about Android App Development. FAMOUS Android App Aspect 2 – Who is an Android App Developer? TRENDY Android App Aspect 3 – Worldwide statistics about Android users. IN-DEMAND Android App Aspect 4 – Hire the best Android developers from ChromeInfotech to build your Android app. SOUGHT-AFTER Android App Aspect 5 – Achievements of ChromeInfoTech’s Android Application Developers so far. WELL-LIKED Android App Aspect 6 – Innovation binds our android application developers to cutting edge android app development. TOP RANKING Android App Aspect 8 – How to become an Android app developer? DISTINGUISHED Android App Aspect 11 – Co-relation between android app development, android app developer, android app design & Android app designer. EMINENT Android App Aspect 12 – Hiring the right set of android application developers to build your Android app. INFLUENTIAL Android App Aspect 13 – What to look for while selecting the best android application developers for your project? OUTSTANDING Android App Aspect 14 – When to hire android developers? POWERFUL Android App Aspect 15 – Where to hire android application developers? REMARKABLE Android App Aspect 17 – Hire Android application developer: Freelancer vs. From Recognized Company. RENOWNED Android App Aspect 18 – Advantages of hiring freelance android application developers. SPLENDID Android App Aspect 19 – Disadvantages of hiring freelance android application developers. EXTRA-ORDINARY Android App Aspect 20 – Advantages of hiring android application developers from a recognized company. POWERFUL Android App Aspect 22 – Universal tips from ChromeInfotech’s android application developers to make a hit app. LIFE CHANGING Android App Aspect 23 – ChromeInfotech’s android application developers turning unique ideas to excellent apps. How it can help you to figure out the best way to develop android app for your unique idea. If you want to design android application that can change the way people live, continue reading. Android App Development is the process of creating mobile apps for the Android Operating System that powers the majority of smartphones today across the globe. Android is a mobile operating system developed by Google and can be found on the majority of smartphones today. Like we have Windows Operating System for desktops and laptops, iOS that run exceptionally built iPhone apps. Similarly, we have Android for smartphones. In the process of Android App Development, we build mobile apps that run on the Android platform. It’s the systematic process of developing mobility solution for a problem at hand. Android app development involves a lot of micro-managed aspects that you need to take care of if you want to end up building successful mobility solutions that can change the way you live. Visit 11 Simple Steps To Help You Create An App to know in detail about the systematic App Development process when it comes to building apps for Android. Before you build apps for android, you need to have a crystal clear and well-defined approach. To know the best way to develop android app, you have to understand a lot of aspects first and how those aspects are co-related to each other. You will probably be indulging with android programming for beginners and all the other similar aspects if you are a newbie in building Android apps. It doesn’t matter whether you want to stay on the technical or non-technical side. If you want to move ahead successfully on your ‘How to create an app for Android’ journey, you better get going along with a systematic and planned Android app development approach. This is your business journey. So you should provide android application development assistance to yourself at the initial stages if you want to go a long way rather than waiting for someone to come and tell you stuff. 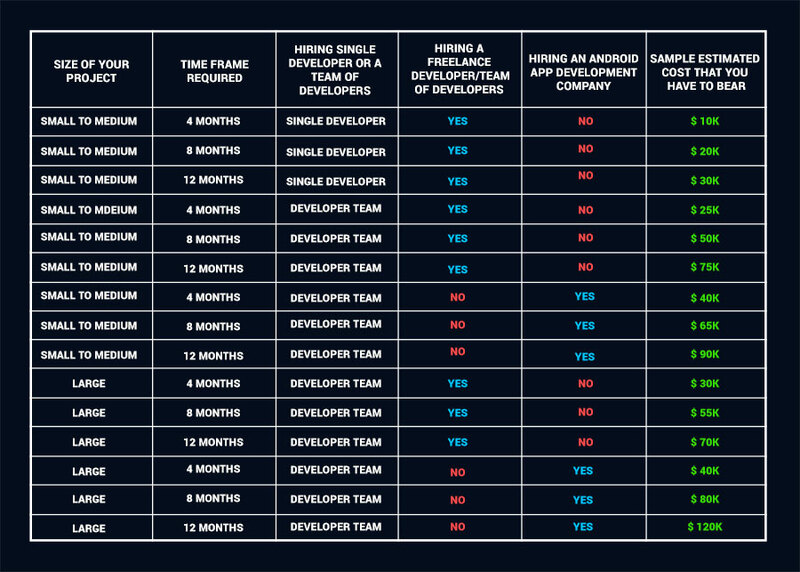 Now let’s move on to understand who is an android app developer. 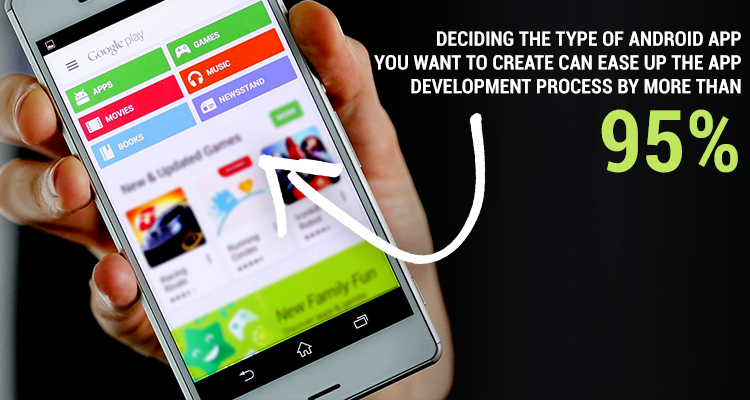 An Android App Developer is your answer to the question – How to create an app for Android. He/she is the one who provides android application development assistance to you so that you can see your idea flourishing to reality. The entire app development process. 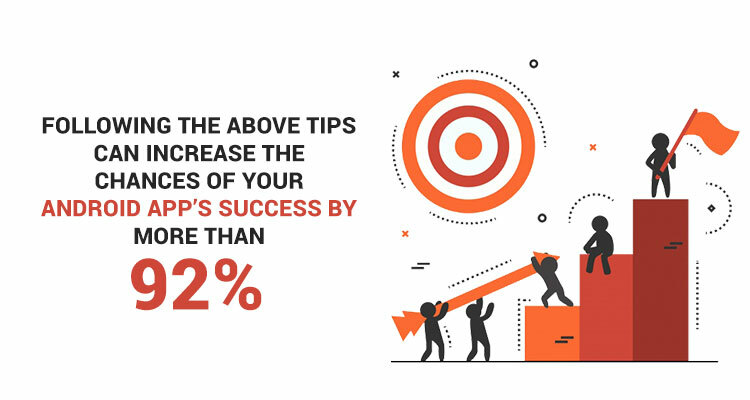 An Android App Developer not only help you with the complete android app design process but also gives you the best support you need at every stage of establishing a successful mobile app based online business. Bring your concept to real life android app. When it comes to building a small android app, even a single developer can provide you with the best of support. But for creating a large android application, you need a team of android application developers that comprises of professional people having a significant amount of experience under their belt. A single application developer for Android app building is relevant when you need to implement limited and low tech features in your app. But for a large project that needs a lot of complex high-tech features to be implemented, you need an android developer team that has the best android developers. For a big project, a group of developers is a must to handle the workload and complete the project in less time and with maximum assistance in the best way possible. Professional Android application developers who have significant experience under their belt will be the best choice. Always choose those Android app makers to design android application for your idea which can give you the best assistance in creating real-life mobility solution. An android app developer is also known as android app designer because he designs the entire architecture of the app. So the moment you associate with an android app developer or a team of android application developers, pay close attention to creating the best architecture for your android app. Create a lot of technical problems and issues for your business in the long run. 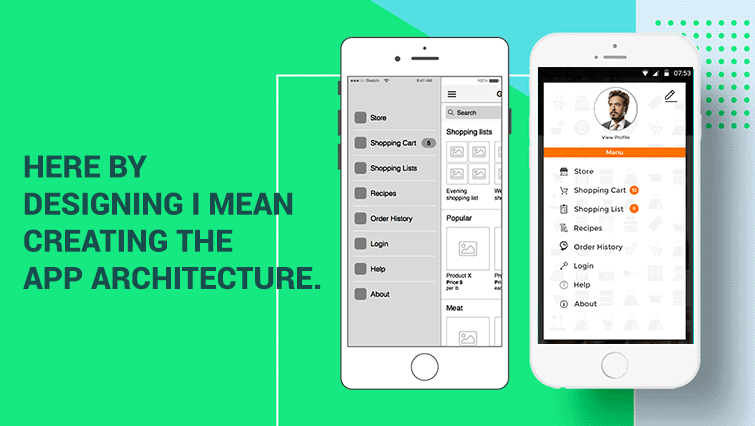 To know the importance of mobile app architecture, click here. 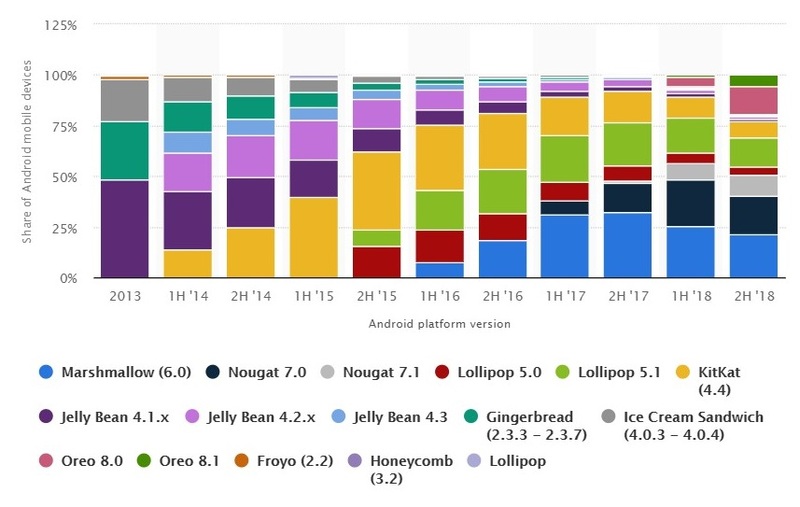 Before you start moving forward, it would be great to have a look at the below worldwide statistics for android users for different android versions. These statistics are from the year 2013 to 2018. 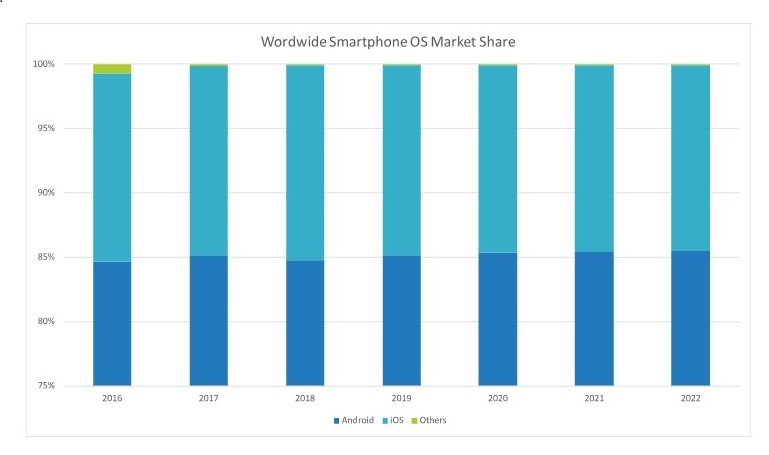 Also, have a look at the worldwide Mobile OS market share from 2016 and predicted until 2022 for Android and other mobile operating systems. For those who are more familiar with text rather than a graph, have a look below. It shows the same above graphical representation. The above data gives a clear picture of one thing – Android is the most widely used mobile app platform in the world. 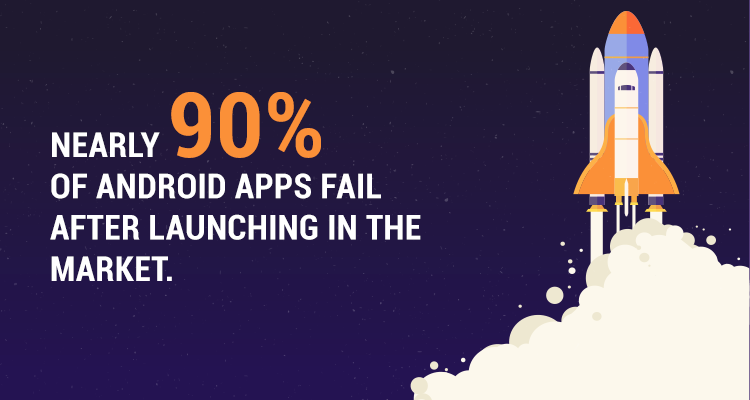 Hence Android apps account for the majority of the apps that exist on the planet today. If you can come up with an exceptional mobile app idea and back it with valid and concrete mobile app market research, straightaway goes for building an android app as it accounts for the majority of the smartphone users globally. An eight years old android app development company striving to provide an EXCLUSIVE MOBILE BASED DIGITAL EXPERIENCE across the globe. We are building Android apps for clients in a way that is changing the lifestyle of people and gives them a new dependency to rely upon. Are you looking for android app developer to build you a hit android app? At ChromeInfotech, we have a dedicated team of highly skilled android app developers that develops cutting edge android mobility solutions for particular and out-of-the-box android app ideas. If you need an android developer team to help you create a market hit android app, do let us know by filling necessary information in the form to the right side of this page and we will get back to you in a while. Our android developers are available to provide you the best android mobility solution. To save 60% android app development cost. We understand the importance of money and time when it comes to building an android app. So if you want to hire android developer team for your project, get in touch with us, and we will surely help you save you a lot of money and time. Also, Android apps designed by us went on to secure million-dollar funding from top investors at later stages. If you want to hire dedicated android developer who can help you to create something of value, click here. Building a cutting edge Android app is the need of the hour. If you are not sticking to the latest technologies to make your app, you are going to be in a lot of trouble. Always remember to use updated technologies while building a mobility solution for your business app idea. We at ChromeInfotech can help you in selecting the right technologies for building your android app. Our android developers are available in a plethora of varieties. Android apps designed by our android application developers consists of the latest technologies that allow our clients to leave a unique footprint in the market. We at ChromeInfotech, have achieved a lot of milestones since we set foot in the mobile app development space. We have built a lot of life-changing android apps for exclusive ideas. These android apps are shaping the future of the common public and the industry they were created for. Our team of highly skilled android app developers helped to build hit android apps, and today they are a big market hit. Every aspiring entrepreneur need android developer team that can create hit android apps because that’s the need of the hour. We at ChromeInfotech can help you overcome this obstacle. Creating the most simplified and appealing android app user experience. Building a scalable android app that can take on any business expansion challenges. Formulating the most relevant mobility solution that fulfills all the needs and requirements of the users. To have a look at our accomplishments so far, click here. While building an android app, always focus on creating the most simplified app user experience. So always keep this in mind and create the best user experience for your android app that keeps your users intact to your app and business. If you need to hire android developer team to create the best user experience for your android app, get in touch with us at the earliest. We will put an end to your ‘looking for android app developer’ phase. Do you want to know what binds our Android app developers to cutting edge android app development? We have some of the best innovative minds when it comes to building an android mobility solution. Our android application developers are fully capable of developing complex algorithms that simplify the functioning of the app. 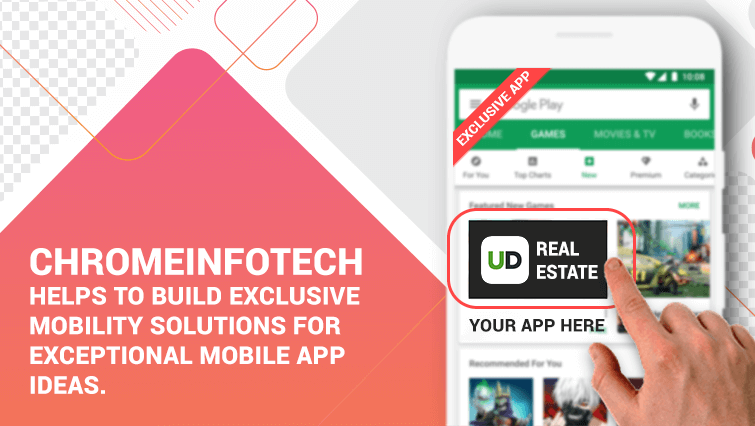 Not only our developer team build apps with some of the best user experience, but also create a life-changing valuable app that users cannot avoid using at any cost. Our central philosophy when it comes to building high-quality android apps is – Create an app that the user can’t resist coming back to. Keeping this in mind our team of highly skilled android application developers strives to create something best and of great value. 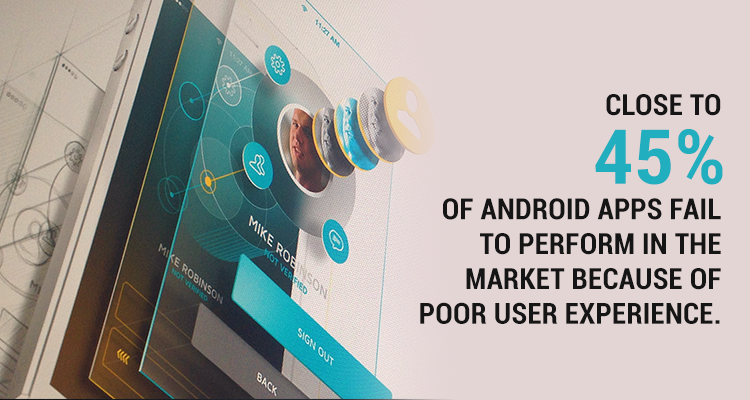 When it comes to innovation and creativity in android app development, most of the android apps fail to perform. That’s because they cannot find the direction in which they want to evolve themselves. They do not have relevant plans to manage their scalability and evolution. So, always have the plan to stay innovative and creative when it comes to android app development. When it comes to android app development, it’s necessary to understand what are the different types of android application developers. The first type of Android Developers to know about before you hire a developer team to build your app. Native app developers are those who build native Android apps. These apps are designed specifically for the Android operating system and cannot run on any other mobile operating system. These developers use languages such as Java or Kotlin, and tools such as Android Studio, to build apps by just keeping one mobile platform in mind – Android. The second type of Android Developers to know about before you hire a developer team to create your app. Hybrid Android apps are those who have the potential to function on other operating systems also. They are modified explicitly as per the required mobile platform you need to build them for. These type of developers create apps that cost less to make and saves a lot of time and money. The third category to know before you hire android app developers to develop your app. These are those developers who create android apps for smart devices such as a Smart TV or any other tablet or Smart Home Device. Most of the time they deal with IoT or Internet of Things aspects and build smart apps that are more hardware oriented. Example: Building an android app for your Smart TV to view specific market forecasts. The fourth category of Android developers to know before you decide to hire android app developers for building your hit android app. Finally, we have these developers who create android apps for smart wearable devices such as smartwatches and smart bands. These set of developers follow a completely different approach to developing apps because they build apps for different shapes of screens as compared to regular Android application developers who create apps for different sizes of screens. They too are an exceptional category of developers and to some extent deal with IOT related aspects also. Before you move on to decide which type of app developers you need for building your app, first to determine the kind of android app that you want to create. There is another critical aspect to understand when it comes to android app development. It’s called – How to become android app developer? Before beginning with the process of becoming an android app developer, you need to learn how to program apps for android. You need to start with android programming for beginners’ type courses and learn how to effectively and efficiently write code to build Android apps. This might not be relevant to the person who wants to build an app for himself. But he needs to understand and have basic knowledge of the process which an android app developer has to go through to emerge out as a successful Android app developer. Become an android app developer. This section contains the fundamental information for anyone who has this question in mind – How to become android app developer, doesn’t matter he/she is from a technical or non-technical background. Take online courses available at Edx, Coursera, Udemy and such kind of platforms which will teach you how to start your career as an android app developer in India as well as in any part of the world. Register on these platforms, and you will find a lot of courses starting from beginner level to advanced level. Some of them will be paid courses that will be from an advanced level perspective. Learn and take courses related to database, algorithm development, and data structures. Take some of the courses on Skillshare, and you will get the right amount of assistance related to frontend development for your android app. Also, take courses related to UI development and UX designing and development on the above platforms that will help you to emerge out as a successful Android app developer. To learn android programming, you can also refer to the Google documentation for building Android apps. You will get to know almost all the fundamentals related to programming Android apps. Since the emergence of these platforms, it has become quite easy for anyone to become an Android app developer in India or any part of the world. While doing this course remember one thing. Also, in your process of knowing – how to become android app developer, you will even come across many best android apps for developers that will help you to develop better code for your mobile app based project. Make sure you make the best use of it. Often many of us come across the term of – developers, app builders, coders, and app creators, and feel confusing about them. Comes across the term somewhere that there are app builders for hire available. Might see somewhere that there are innovative app creators for hire that are ready to be employed somewhere. Can find the term app coders for hire somewhere. Can catch an eye on app programmers for hire somewhere while searching for high-quality developers. So if you frequently come across these terms on the internet and wonder – Are they the same thing or different thing? Then keep reading below. Should I hire Android App Developer? Should I hire Android app Programmer? How about I hire Android App Programmers team? Should I hire Android App Developers and Programmers both? So, it’s time to understand what each of them means explicitly. An Android App Developer is someone who is responsible for the entire android app development process. Right from the point of gathering user requirements to the point of building the app, its user experience, and all those stuff, to the point of building updates for the app. An Android App Developer takes care of the entire app development life cycle to deliver a hit android app. He is the person who does all the research, makes app building strategies, does app testing and takes care of app maintenance related aspects. He is also responsible for deciding which technologies, languages and tools to use for developing the Android app. An android app programmer is a person who programs the android app. Meaning this person is responsible for writing the code for the android app – for different aspects like frontend, backend, and database. He is also responsible for testing the code and checking out for bugs. Another responsibility which he looks after is code optimization and reducing the run-time and launch time of the app. His ultimate job is to maximize the performance of his code to build a high-performing android app. An Android App Coder is the same as the Android App Programmer. Both are just the synonyms of each other, and the title can be used interchangeably. Responsibilities of coder and programmer are the same. Hope your confusion is evident now. I hope that soon you will not confuse between these terms while you embark forward on your app development journey. Figure out how that particular developer or team of developers can solve every problem related to creating a hit and high performing android app. Creating one of the best user experience for the entire android app. Improvising on the performance related aspects of the Android app such as optimizing the app architecture and on the technical as well as the strategic front. Fixing loopholes and bugs from the final app version. Always remember that top android app developers never leave the space for any flaws or gaps in the final app version. Coding the full Android app comprising of many different modules and functionalities. Creating an appealing and satisfying app navigational experience that compels the user to use the app again and again. Doing updation in the app and assisting with all the app maintenance related stuff. Building the best mechanism to gather user feedback and opinions. These acts as the primary source to evolve the app and make it much better. Hope the roles and responsibilities of android application developer are clear to you. The top developers always understand the difference they can bring to the table. Hence to hire dedicated Android developer team who can build the best app for your idea, you have first to understand their roles and responsibilities. It’s important to understand that all these aspects run hand in hand to each other when it comes to building Android apps that lasts for an extended period in the market. Let me explain it to you how. An android application designer builds the UI of the entire app. 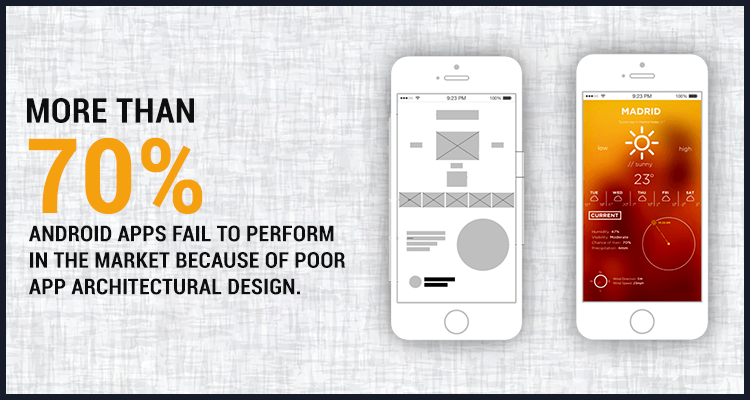 This in return is related to the development of a high-quality app user experience. If you want app designer for hire immediately for your Android app development project, click here. When an android app designer is done with the UI and UX, it gives the visual feel of how the final app will look, before it is headed to the coding phase. If a designer is keen to design android application for a specific problem to be solved, he/she must keep in mind that, at every stage of creating a user-attracting app, no compromise should be made with any aspect of UI designing. It’s the responsibility of the designer to follow necessary tips, tricks, and techniques and use necessary tools to build a UI and UX that retains the user for long and doesn’t give him/her a reason to uninstall the app. The UI designs are transferred to the development team which codes the UI and implements the backend. Here, the developer team makes use of various coding practices and benchmarks to code the app effectively and efficiently. An android app developer must ensure that code optimization is done and there are no bugs and loopholes in the final app version. The developer and designer co-ordinate with each other to come to a conclusion that is feasible for both of them and helps to create the app more efficiently. So, the main conclusion that we can infer from the aspects mentioned above is that they are all co-related to each other and hence go hand in hand. Do let us know if you want to hire app designer for building your app and we will get back to you shortly. A designer and developer should be on the same page when the android app development process starts. 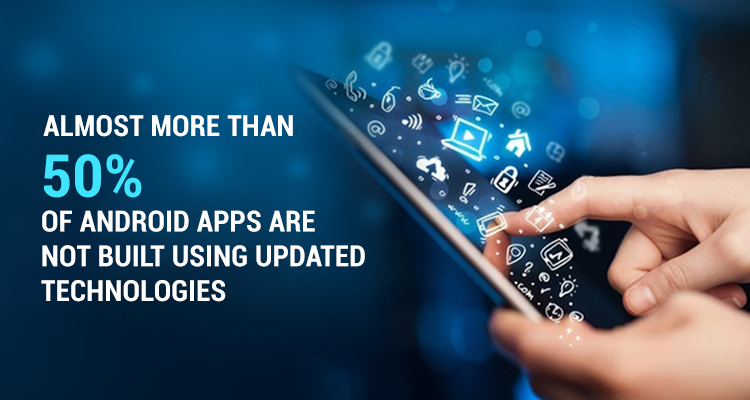 If they are not, then it can create significant issues in implementing the most effective user experience of the app. Now let’s get on to the understanding about – Hiring the right set of Android developers to build an app. Hiring the right developers for your project is highly significant. 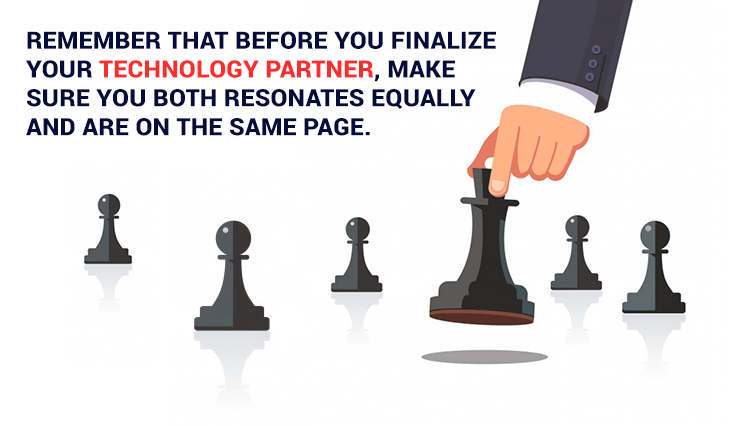 Associating with the right technology partner can help you to overcome a lot of trouble in your app development journey. It’s important to understand – How to hire an app developer to design your android application. To design an android application and then write code for it – is something that always goes in sequence. Top Android app developers always focus on creating the right structure of the app. At the initial stages after taking requirements from the clients, it’ the must bear the responsibility of an android app developer to design the most optimized structure of the app and then start with the coding phase. Hire the one who can help you to create one of the best user experience for your unique and exceptional android app. Always select the app developer for your project who can solve the maximum of your problems in the most efficient way. Must assure that he is capable enough to handle unexpected issues and challenges. An android app developer is also known as the builder of android application. Well sounded from the technological point of view. Presence of complex problem-solving skills. Strong knowledge of current technologies and happenings. Secure grip on data structures and algorithms. Ability to deal with a complex set of a code base. Must be able to create one of the best User Experience of the app. Excellent testing skills and ability to remove bugs and loopholes. Well aware of different app development methodologies and must be able to decide the time to use each one of them. Has great code optimization skills. Has great app performance improvement skills. Always try to establish a long term association with your technology partner. It will keep you in benefit and help you to evolve your app better. You inevitably won’t end up explaining the same thing about your app to your technology partner again and again. You have to decide the correct stage and time when you need to get associated with an android app developer team to get better app development assistance. Your team would be responsible for programming apps for Android and bringing them to real life. So you need to associate with him and his team at the right time. But how to decide when to associate with an android app developer and his team during the app development process? Check out below and decide for yourself. Validating your unique app idea. Sketching your idea and drawing it for the stakeholders. Completing the entire phase of the mobile app market research. Curating the best business model and plan for your mobile app based business. Accomplishing all the strategical aspects such as marketing strategy, social media strategy, content strategy, etc. 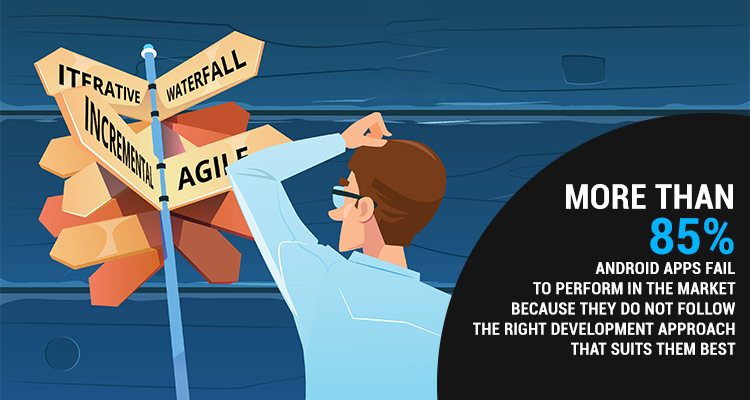 The reason being, you will be free from all the technical aspects as your developer team will be there to handle everything for you. The systematic understanding of the Android app development process will help you to build the best software app for your business idea. If you want to know how to contact app developer to develop your app, click here. If you have an idea and have done adequate market research, associate with android application developers right after you finish the market research part to get started with wire-framing your app. If you already have the wireframes available with you, then associate with an android app development team right after you finish your low-fidelity wire-framing to create high-fidelity wireframes. Now let’s understand how to contact app developer for building Android apps. Android app developers can be found in various places. You have to be sure what you are looking for in your app developer team, and you are good to go. If you can contact the best android app developer team, you are good to go in the direction of creating a successful Android app. Freelancing websites and apps and other platforms such as Freelancer, Up Work, etc. Recognized android app development companies which have various accreditations and certifications and a pool of highly skilled android app developers who can build you cutting edge android app. Personal references that you can obtain from colleagues and friends. This is the chance to leverage your personal network of contacts. Personal contact to other android app developers who are looking for a job in android app development. An android app developer is also called as an app builder for android operating system/platform. He is also sometimes referred to as android application designer because he designs the architecture and UX of the app. So if you are looking for an android application designer or an android app developer team as mentioned above, you have to make the best use of the above aspects. Always do relevant background checking before you finalize your android app developer or a team of developers. This will save you a lot of time and trouble in the long run. Als,o make use of the above aspects as much as possible. Should we come to the money aspect now? Yeah, I think we should. How much it’s going to cost you to hire an android app developer or a team of android application developers for your android app development project? Time frame that you will be setting up to complete your project. Are you hiring a single developer or a team of many android application developers? Do you want to go with a freelance android app developer, or? Are you interested in associating with a certified and recognized android app development company? Helps you to determine the overall cost of your app development project. This eventually comprises of hiring android application developers to build your app after you contact them through various mediums. Let’s have a look at the below table that can help you to better understand how much it’s going to COST you to hire them. Hope you have got an ide of how much you have to spend to hire android app developer team for building your app based business project. Always be sure about who you want to select as your preferred technology partner. This can easily help you to manage your finances much more efficiently. There are multiple places that you can look for to hire android application developers for your app development project. But out of those freelancers and recognised android app development companies are the major leads. From the world of freelancing VS from a recognised android app development company. Working with them always involves the risk factor. Managing the project becomes clumsy at times. No systematic process of app development and co-ordination. There is less risk involved in working with them. Project management is done in the most effective and efficient manner. Time delay is very less. Systematic co-ordination and following of app development process is there. 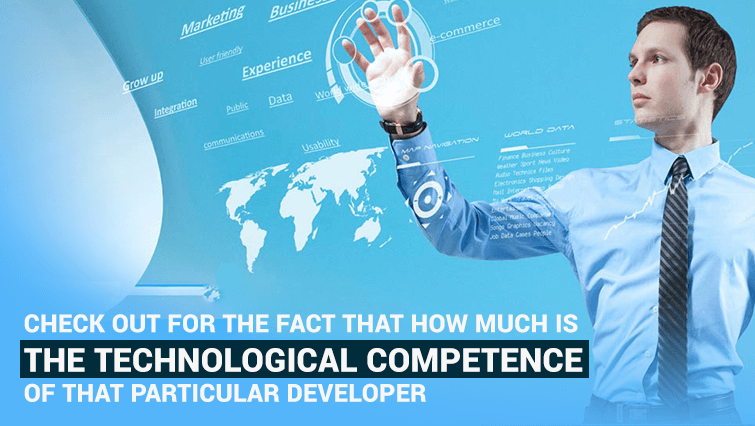 Before deciding between freelance technology partner and an android app development company, figure out the size of your project and how much well maintained co-ordination and systematic development approach you need and want to follow. These are the advantages if you hire android application developers from the freelancing world. Working with them on an hourly basis is possible. You enjoy a lot of flexibility in working with people from the freelancing world. You are not restricted by geography. So you can select anyone from any part of the world to build your android app. Availability of diversity is there when it comes to the skillset of android application developers. They are more aware about many best android apps tools that are helpful for developers and can help them build exceptional apps. Only hire android application developers from the world of freelancing if you are sure about the person and have done necessary background checks. Also, with advantages comes certain disadvantages. These are the cons of hiring android application developers from the world of freelancing. You and your technology partner will not be bound by any formal agreement. Discussion of your project aspects becomes difficult at times due to distance. Everything doesn’t create an equal impact through video conferencing. There is always the fear of spending more money when you hire freelance app developers as the project might extend for long due to any unforeseen reason. It’s better to select a freelance android app developer or a team of android app developers from the same country rather than from a different country. 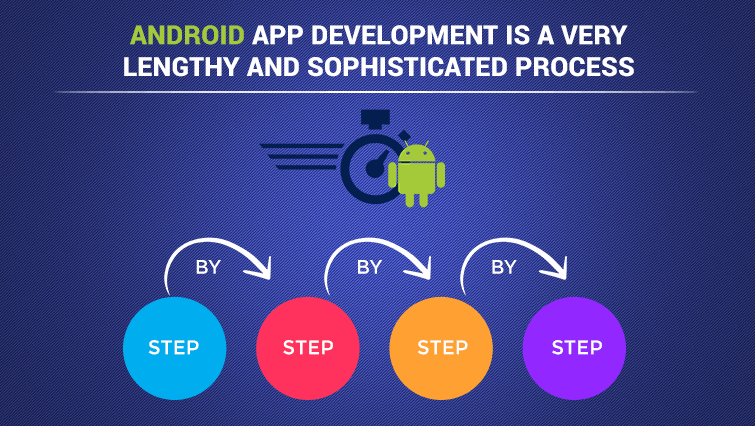 This can help you to build the best software app by following a systematic android app development process. If you select a recognized android app development company as your technology partner. You will end up doing everything in a systematic and proper manner. Also, you can be rest assured of getting the best and highly skilled team to build your app. Negotiating with your technology partner when it comes to money becomes a lot easier. Also, you get a lot of extra consultation that can solve many complex problems you were facing earlier. You should hire the android app development company that has a proven track record and portfolio of delivering market hit mobile apps and has relevant market experience. ChromeInfotech has been in the mobility space from the past 8 years. Get a strong hold of data structure and algorithms and learn all the aspects – frontend, backend, database, and api connectivity. Learn all the relevant and necessary technologies. Always use the best coding practices. Keep a hawk eye when it comes to removing bugs and loopholes. Get a strong hold of various type of android app testing. Customize your algorithms and use tools and software services to ease the android app development process. Find out new ways to improve the performance of your app. Do code optimization always and reduce code complexity. Design the most optimized app architecture. These tips are specifically for someone who wants to be an android app developer or know someone who want to be one. You can freely recommend these tips to your aspiring and to-be developer friends. Also, have a look at the below tips. Always validate your android app idea thoroughly. Do a concrete and hard hitting android app market research to build your initial strong foundation. Create an MVP for your android app idea before you decide to build the final version of your app. Always do sketching and drawing of your idea and create wireframes to have a visual comprehension ready to use wherever required. Focus on building appealing user experience and maintain the right balance between the content and visual aspects of your android app. So think 10 times before you decide to ignore them. 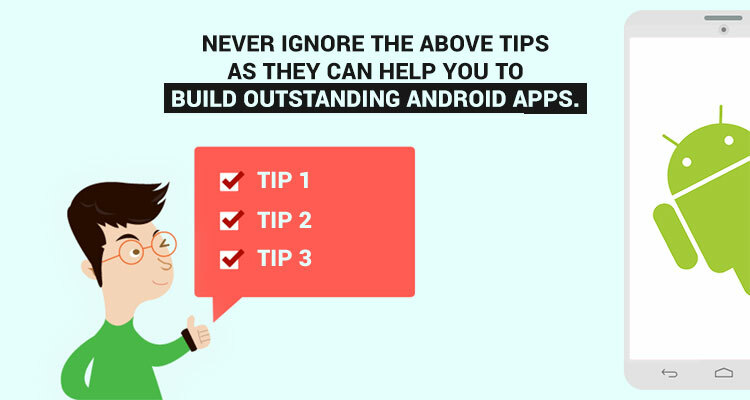 These tips are from the ChromeInfotech’s community of app builder making cutting edge apps for android. 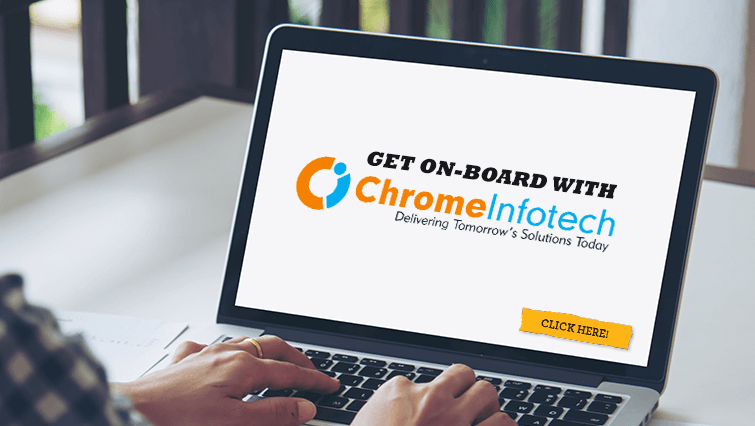 ChromeInfotech, since its inception in the year 2010, has been known to deliver cutting edge mobility solutions to complex real world problems and changing the way people live their everyday life. Who can help you create one of the best android app, reach out to us and we will get back to you at the earliest. ChromeInfotech always believes in creating some of the best android apps that you can use every day to ease up your life. We have taken the challenges since we came into existence and have evolved in the most unimaginable way possible. That is something which has given us the tile of PREFERRED TECHNOLOGY PARTNER FOR CREATING LIFE CHANGING MOBILE APPS. And we live every day to justify that title by giving out our 100%. If you want someone for programming apps for android platform, we are your best choice. Visit here to look at our ground-breaking work done till date. Before associating with a technology partner, make sure you are well aware of the basic app development aspects. This will help both of you to transition through a smooth app development process. Our highly skilled android app developers are capable of building cutting edge android apps. You will definitely not regret your decision of associating with ChromeInfotech at any point in your entire android app development journey. Having an android app for your business is a must. An android app developer is the one who can help you achieve that goal. So, take that one step forward and let us know what we can do for you as one of the top rated android app development company. We are waiting for your response.